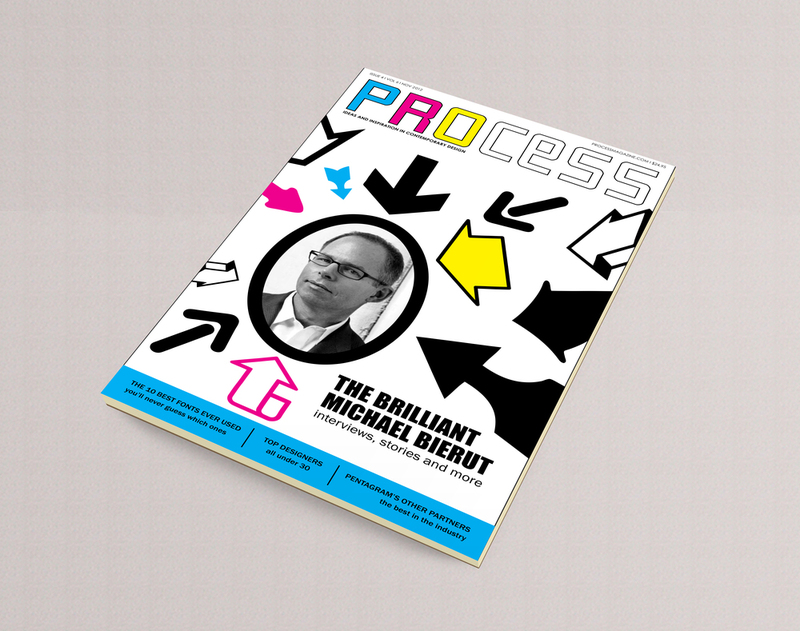 Process magazine is a fictional design magazine. 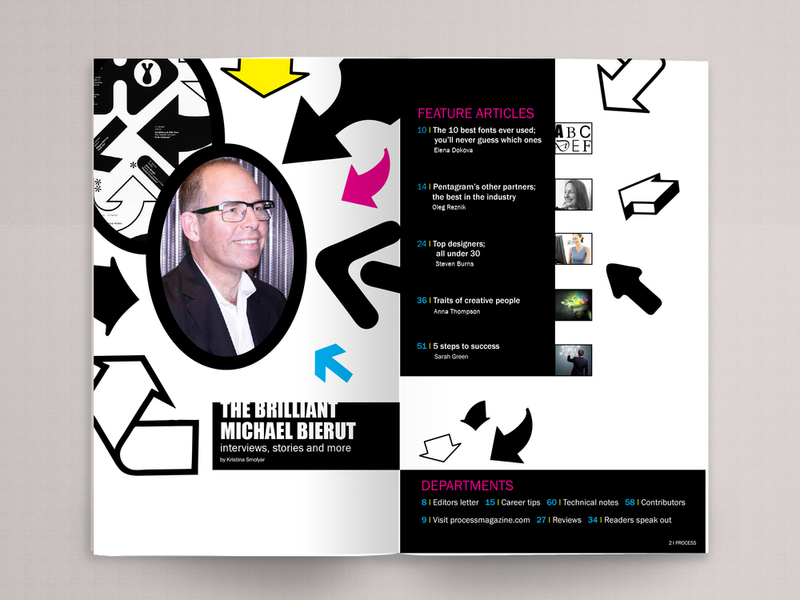 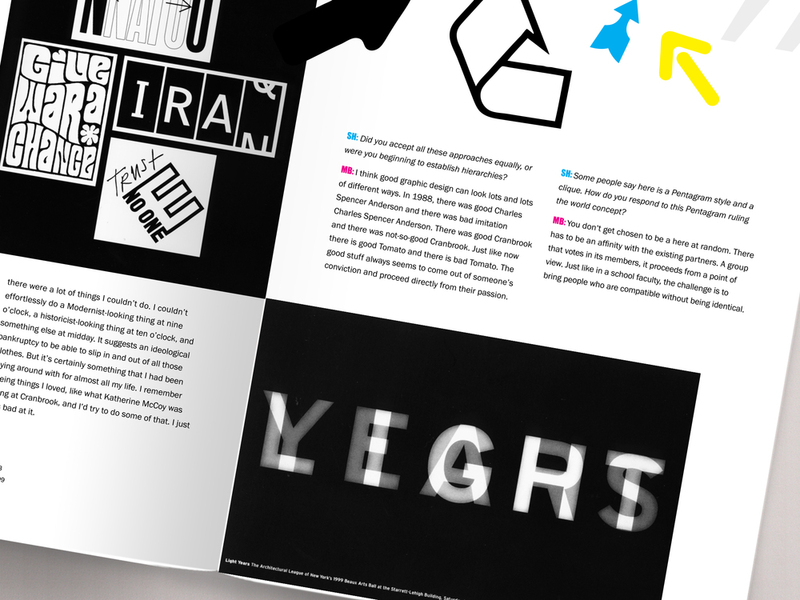 It features a masthead design as well as a cover and four spreads showcasing graphic designer Michael Bierut. 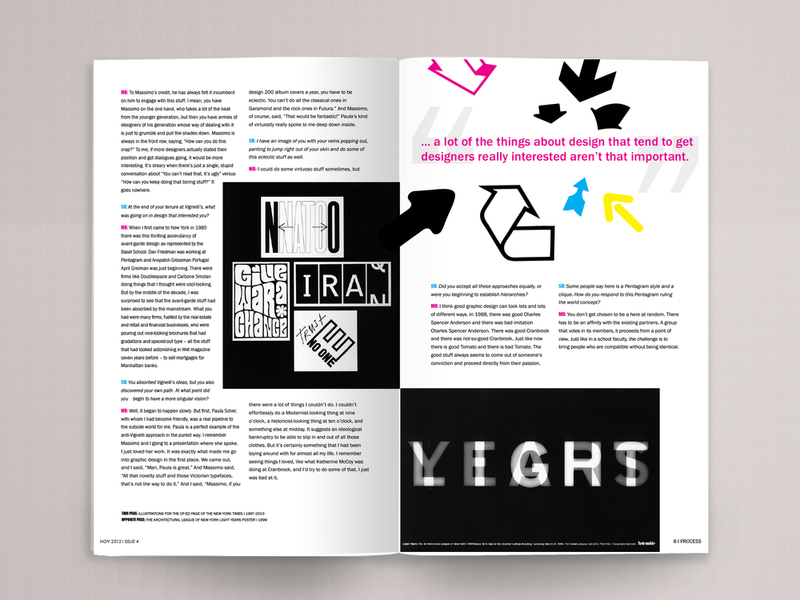 The design concept for this magazine was to portray the showcased designers style through the magazine.